In the world of quilting, "DREAMI" stands for DRop Everything And Make It. I have two DREAMI quilts to share with you today. This DREAMI quilt is a quilt-in-progress. It started with a bundle of fabrics I won on the Kathleen McMusing blog. 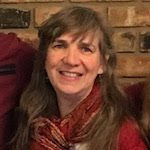 Thank you, Kathleen!!! 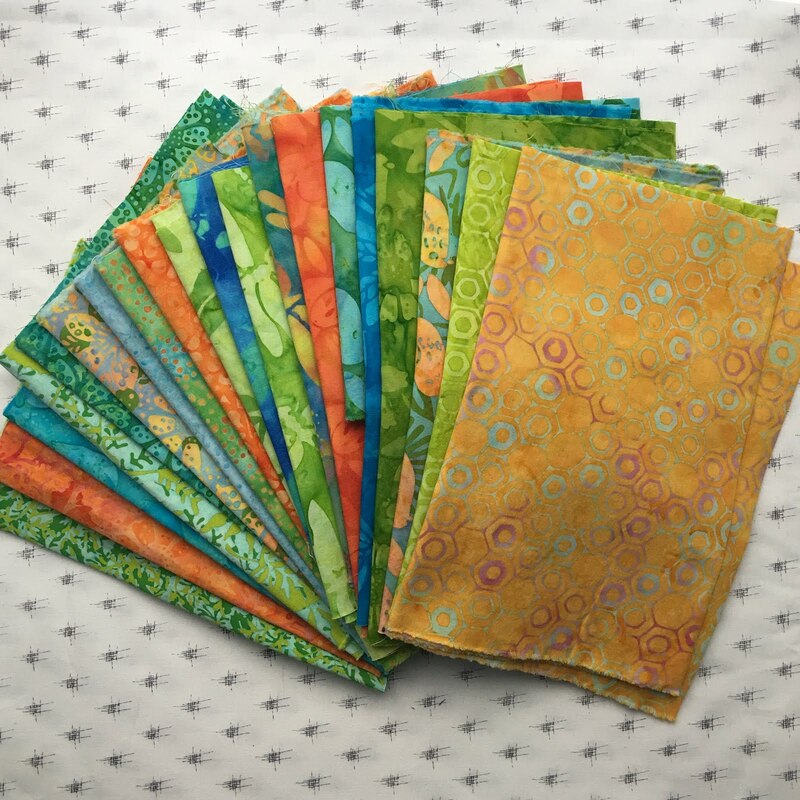 Check out what Kathleen made out of this line of fabric on her blog, here, "My Victorian Windows". 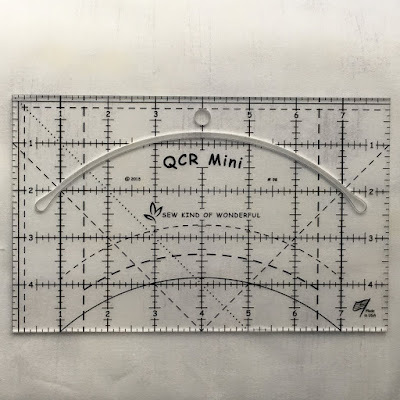 It uses the QCR Mini (Quick Curve Ruler Mini) and a free pattern called "Ric Rac", from the Sew Kind of Wonderful website, here. I have three rows put together and two more rows to go. 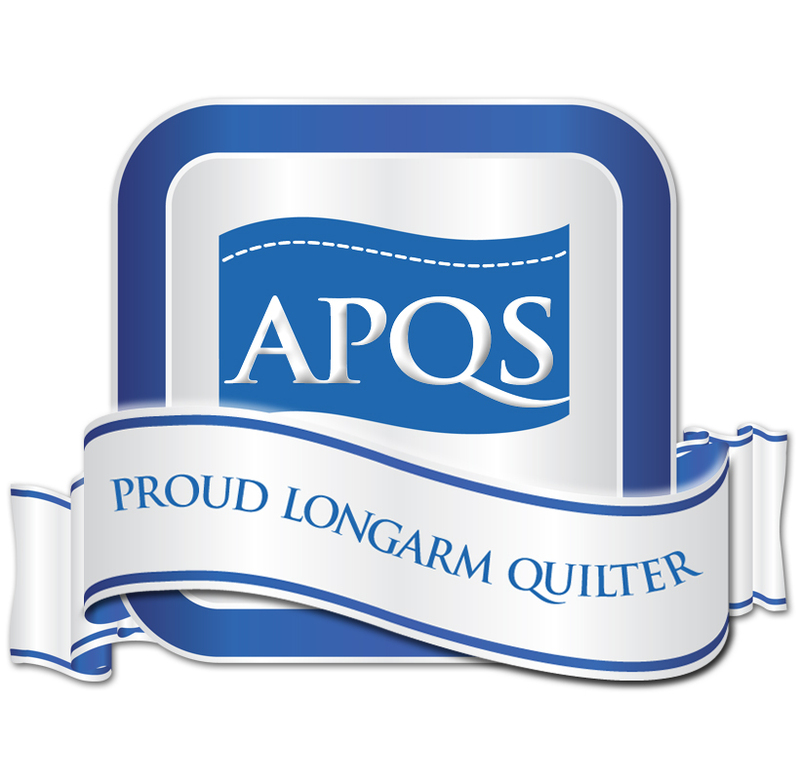 My quilt will be longer and wider than the pattern, in an effort to "use it up", not to mention, we're all tall in my family! 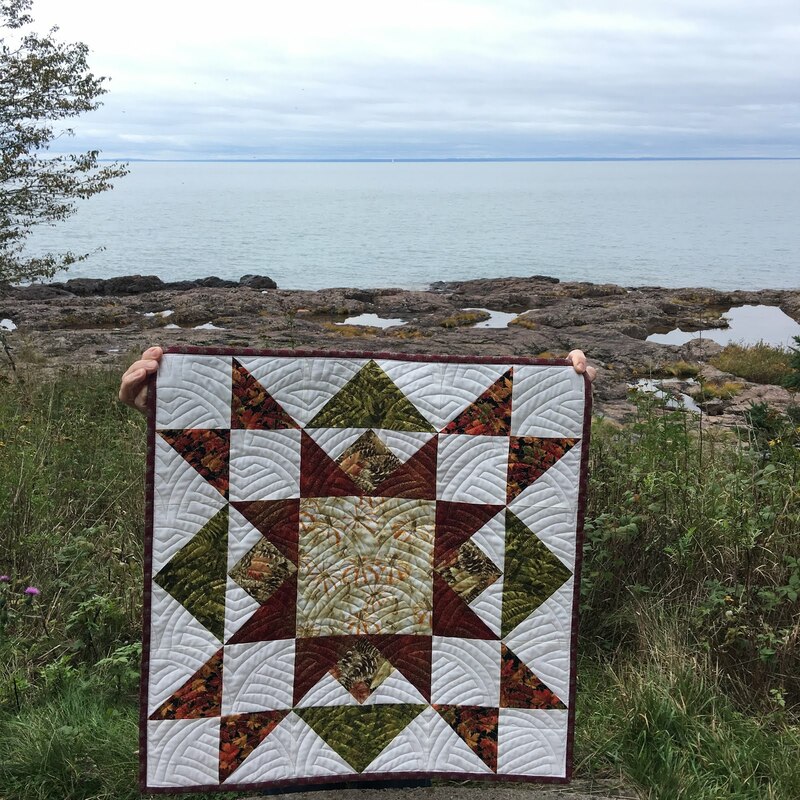 My second DREAMI quilt is this autumn version of the Joyful Barn Star pattern. 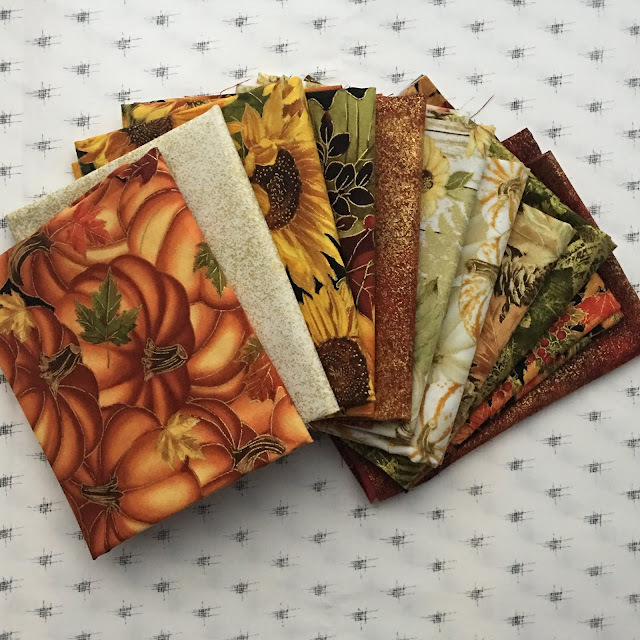 This quilt started with this bundle of autumn themed fabrics. I bought them one day and made the quilt for our front door the next. It's hanging on our front door now. There will be a winter version when the time arrives! 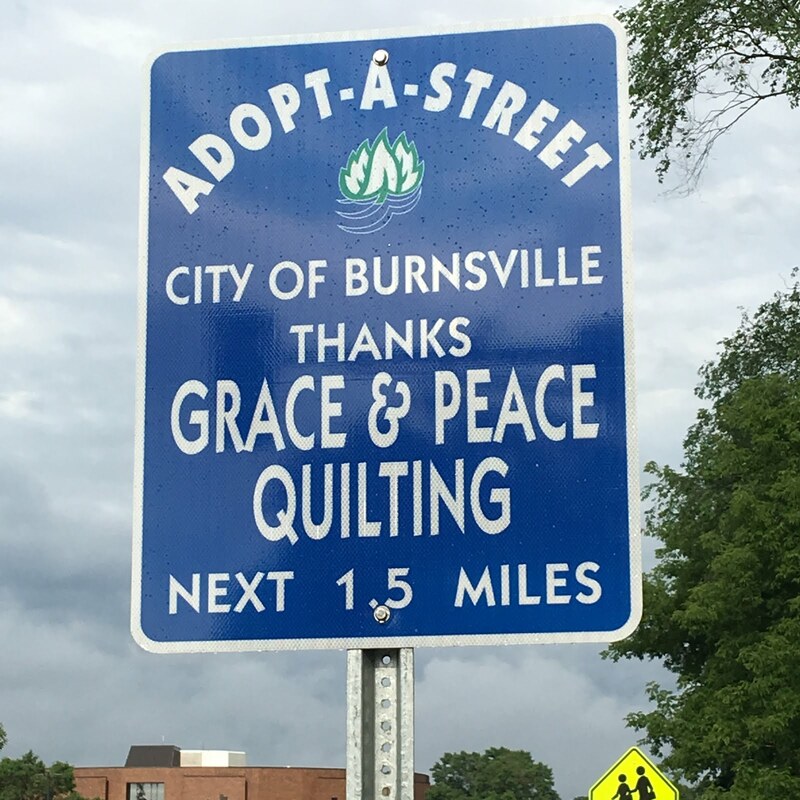 Linking up with the DREAMI link at mmmquilts!, Sew Fresh Quilts, Midweek Makers, Needle & Thread Thursday, Confessions of a Fabric Addict, Friday Foto Finish, Crazy Mom Quilts, TGIFF. Both quilts are really beautiful. I like the DREAMI motto. I think I need to use it. 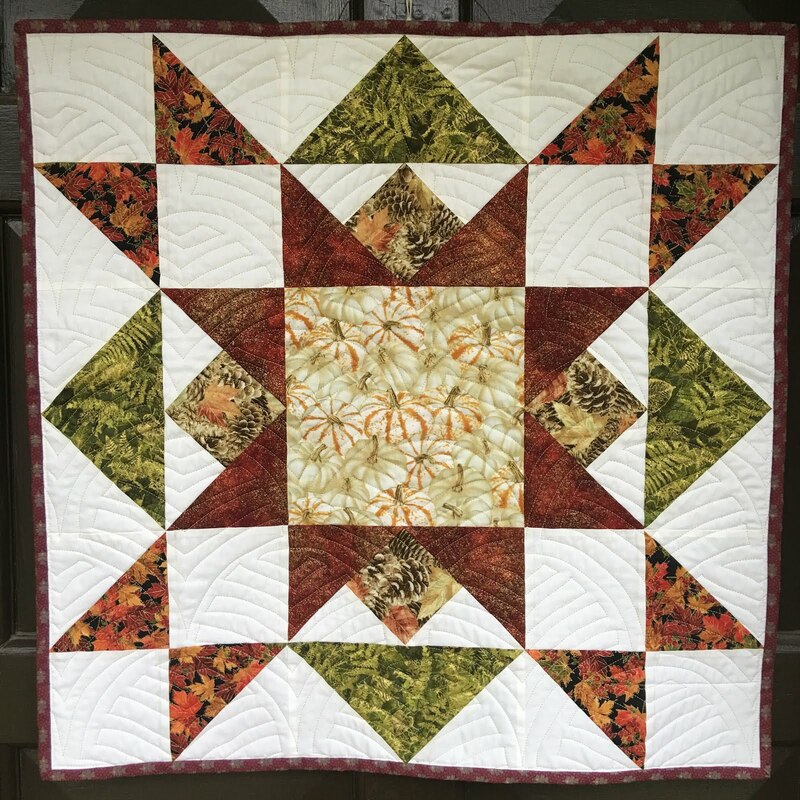 I love your fall version of your Joyful Barn Star quilt. It looks great on your front door. The curves in your Ric Rack quilt make it special and unique. Great job on your quilts! I love the SKW site, but I have not seen the ric rac one before-I'll have to check it out. Yours is looking so awesome, one could really have fun with the quilting too! How fun that you were able to make the quilt using the fabrics you won, and you made it so fast! Love those quilts on your door, they are so pretty! 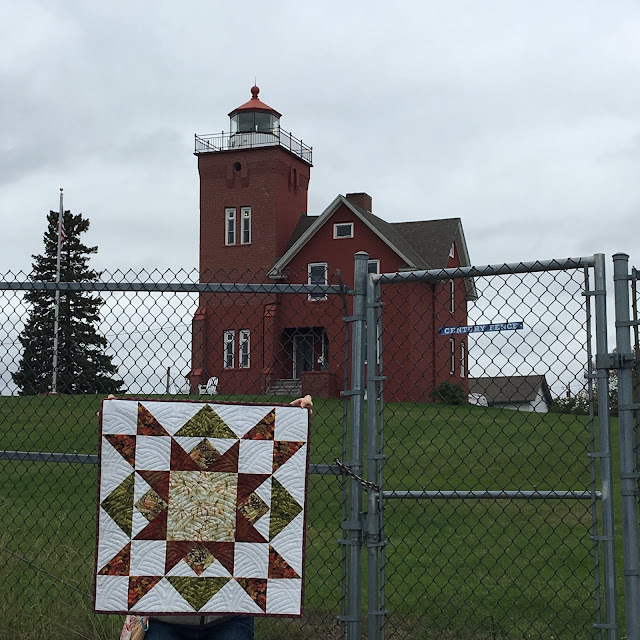 Where is that lighthouse in Duluth? I don't think I've been to that one. These are both beautiful! 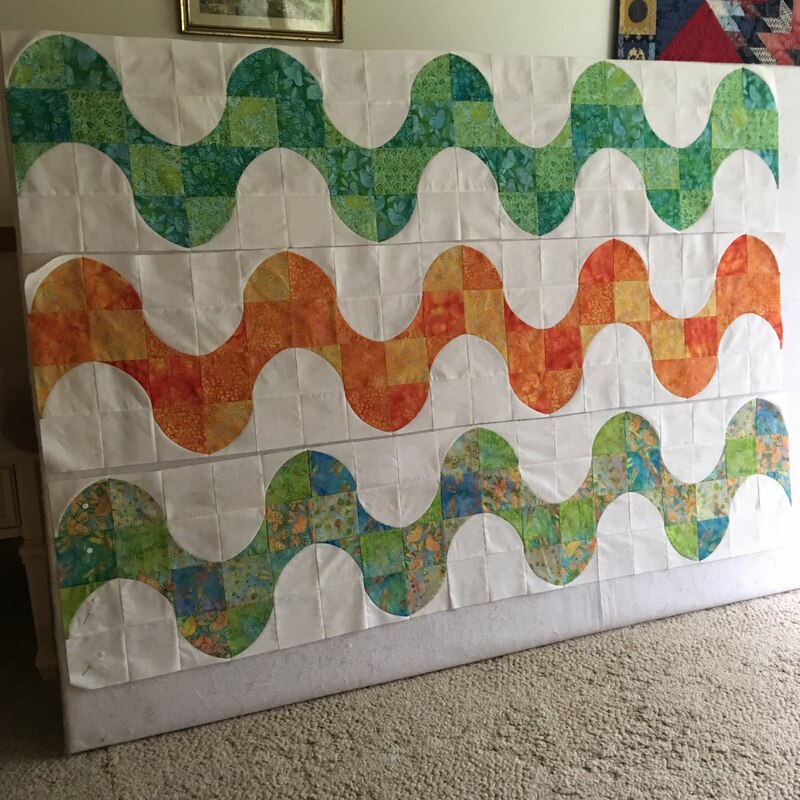 I love the quilting on the mini quilt and I can't wait to see more of your Ric Rac quilt! WOWzer! I didn't expect to see that so quickly! It is a gorgeous quilt - so fun and cheerful. I can't wait to see your quilting on it...it will only be more spectacular. 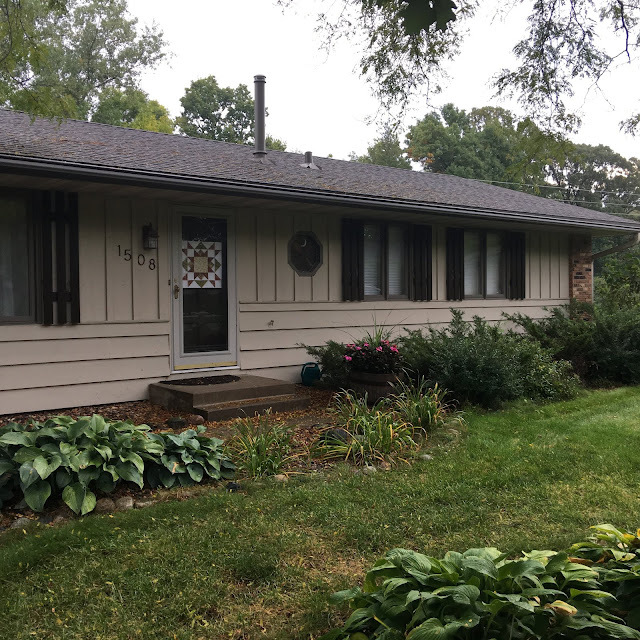 It looks great on your door! Love the lighthouse pictures, too! What a great door hanging! Beautiful colors and I really like that quilting motif. You found some lovely places for photography! RicRac is adorable!!! I am sure it will look super cute in baby prints/polka dots. That is a beautiful barn quilt an dis beautifully quilted too. Have a great weekend! Your DREAMI philosophy is right on. The photo of the quilt block in front of the barn is perfect. Both of your quilts are amazing. 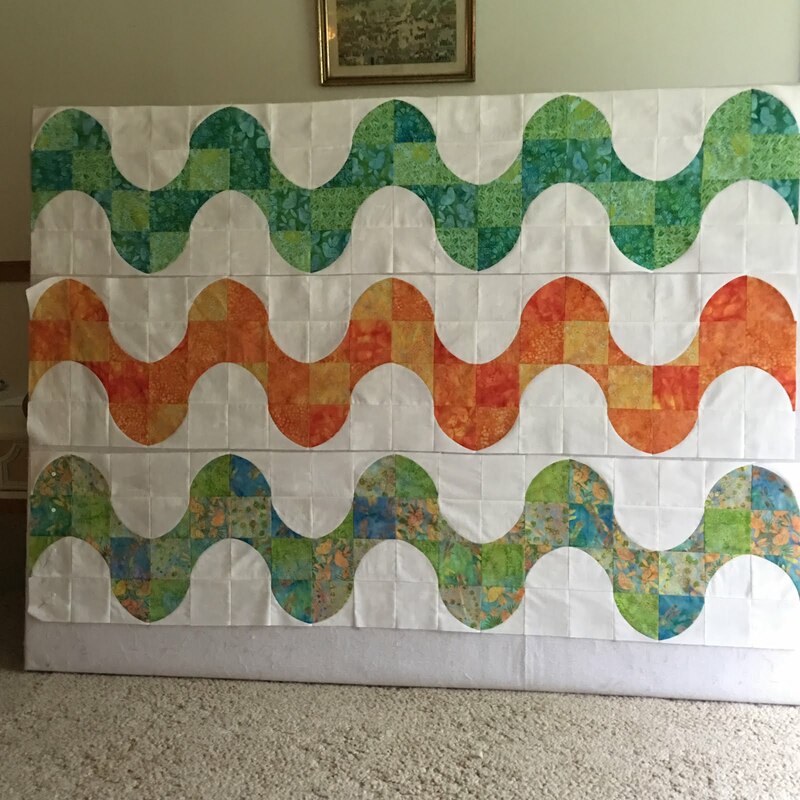 Very pretty quilt you've got going using the QCR Mini - love your fabric choices! Ooh, I love both of these DrEAMis! First of all Ric Rac! I grew up with Ric Rac sewn by my mom near the bottom edges of my hand-me-down dresses to cover the faded line where the hems had been let down as my cousins and I grew taller. Thanks for the memory triggered by that cute quilt. And then the door quilt—perfect reason to Drop Everything! It looks wonderful on both your door and the lighthouse. Which lights are those? 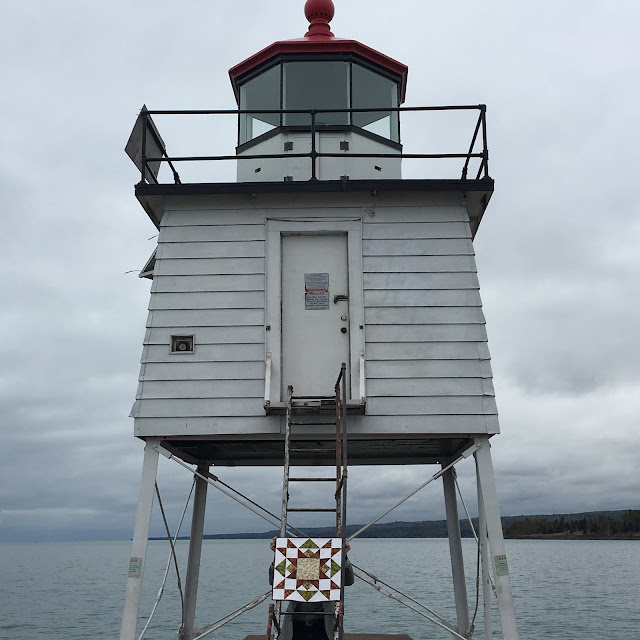 (I’m a big fan of lighthouses and the Great Lakes. Lovely work on both quilts. Great finish on the star and what a fun setting for the photo shoot. Those are BOTH wonderful quilts!! You got some really great photos of Joyful Barn Star. Enjoy the finishing of Ric Rac! 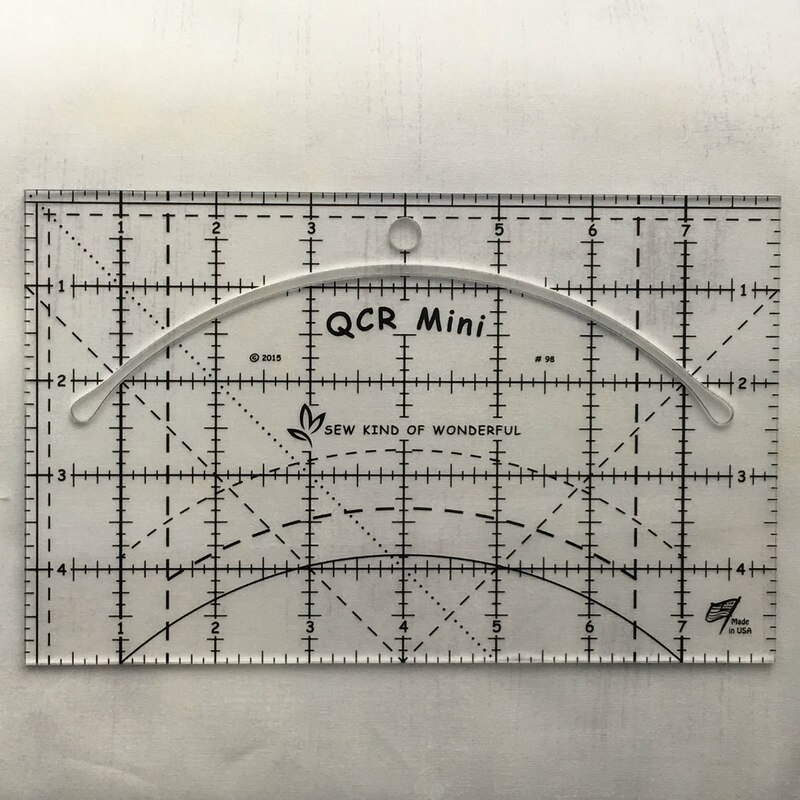 I've got to find that Ric Rac pattern and get myself one of those mini rulers. I love ric rac!!! This is so me. By the way your quilts are lovely!!! You don't let dust gather on your fabric, do you? 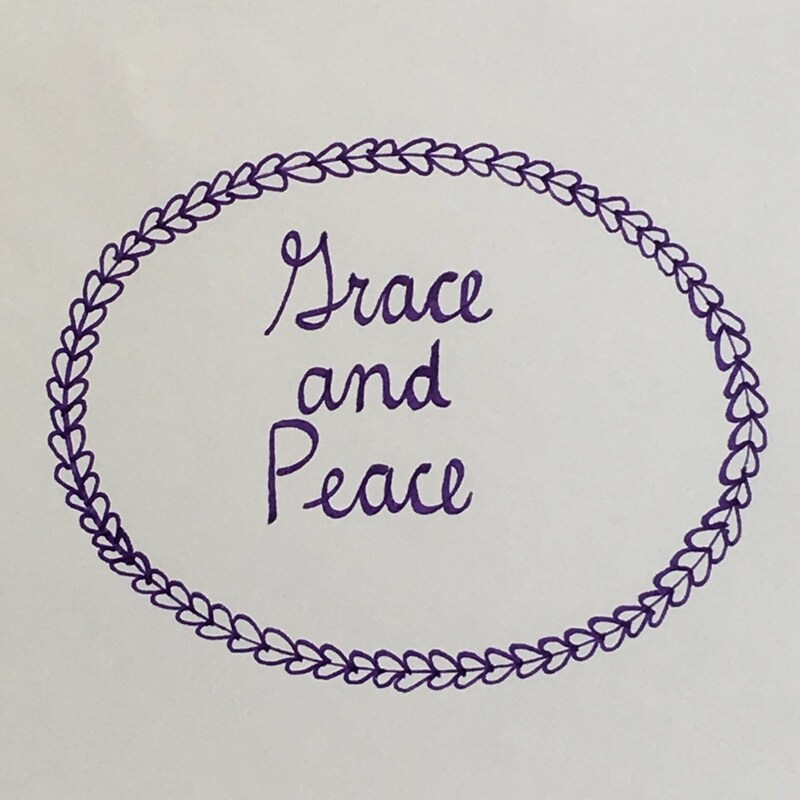 Great projects! Those Lake Superior photos are fabulous!